I had been meaning to visit Struell Wells for a number of years. 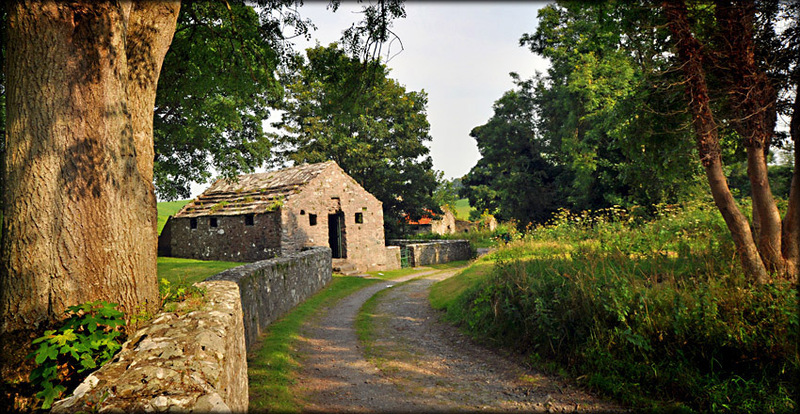 Myself and John had planned to visit the monastic site at Nendrum, so we took the opportunity to drop by the wells on our way back from there. 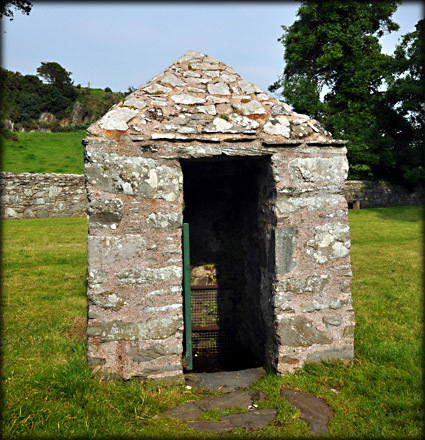 Situated just three kilometres east of Downpatrick, the wells have a strong connection with St Patrick. There is a rock outcrop opposite the wells with a natural feature known as St Patrick's Chair. The site consists of two wells and two bathhouses making this the most extensive well complex in Ireland. A small stream runs in a northeast to southwest direction through this valley. The name Struell is said to be derived from tSruthail meaning stream. The buildings run parallel to the stream. 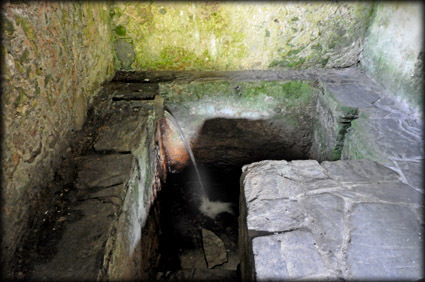 In the northwest is the main well known as the Drinking Well, see image below. 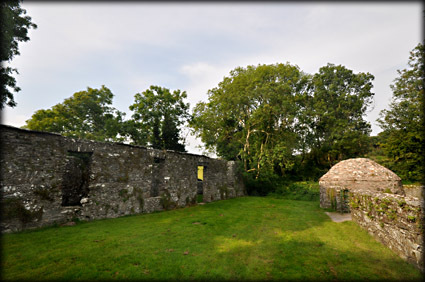 It is a round structure with a corbelled dome shaped roof dating to the medieval period. In the centre of the enclosure is the Eye Well, pictured left. It too has a corbelled roof. At the southeast of the enclosure are two larger buildings. The largest, shown in the top image, is the men's bathhouse and hidden behind it is the women's bathhouse. 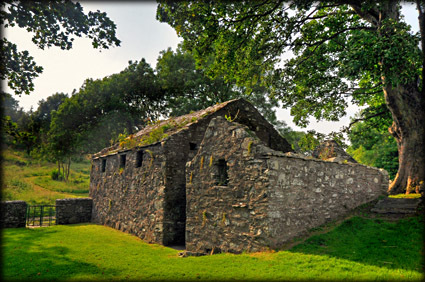 Evidence taken from Struell suggests this was a sacred site long before the Christian period. 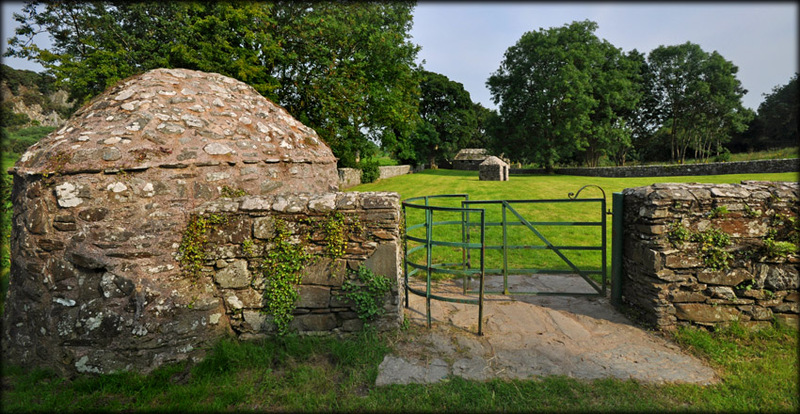 The wells were believed to curative powers and became a place of pilgrimage throughout the Christian era, culminating on summers eve, the feast of John the Baptist. The pilgrims custom of bathing yourself in the water appears to be unique to these wells. To the northwest of the Drinking Well is the shell of a late medieval church, which may have remained unfinished. see image bottom right. Discovery Map 21: J 5110 4419. Last visit Aug 2012.